A fulfilling and a relaxing experience. Stay within the residential and lively neighbourhood of Kashipur with Gautami Heights. The well-designed and pocket-friendly rooms will suit various guests in this city. 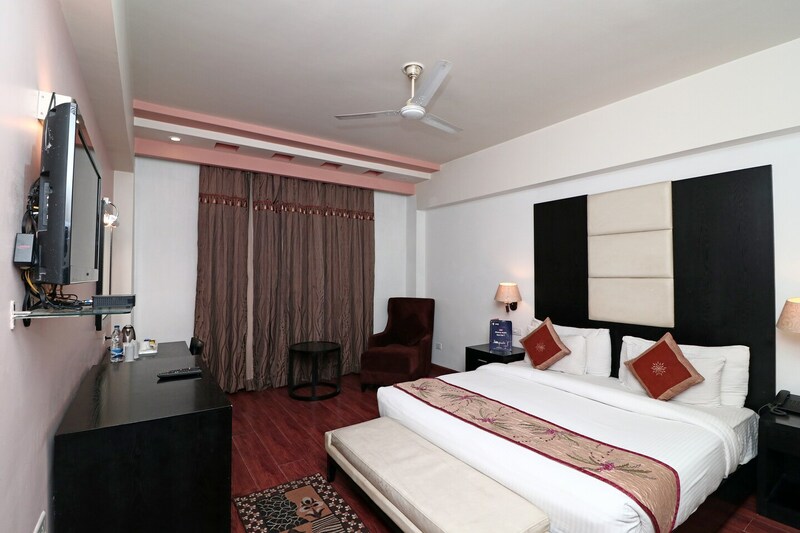 The spacious rooms are well-lit, pleasant and comfortable with wooden flooring and soothing pastel room decor. The hotel has a kitchen, a seating area, a dining area, a swimming pool, an in-house restaurant, a conference room, a banquet hall, a gym, a bar and a spa for the guests to make use of while staying there. The free Wi-Fi and power backup offered by the hotel allows the guests to stay connected with the rest of the social world. Other amenities provided by the hotel are laundry and parking facilities, CCTV cameras and a card payment option.